As everyone can agree, Dubai holds the most creative worlds records ever! Not only that, but also Dubai holds over 130 Guiness World Records on its own. The city is known for its wonderful tourist destinations, huge skyscrapers and amazing shopping. We have collected for you the top 10 winners that you are bound to bump into while visiting Dubai. 2. Largest Floral Structure in the Shape of A380. 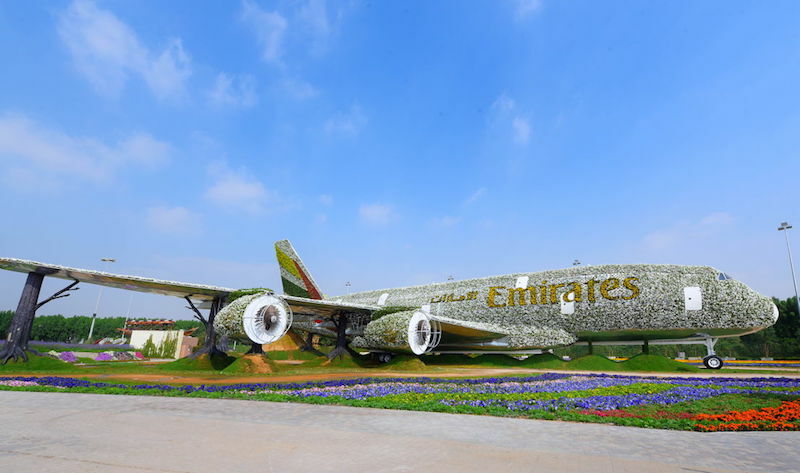 It consists of 5 million flowers and weighs over 100 tonnes and is found in the Dubai Miracle Garden. Dubai Airport revealed a chocolate replica of the Burj Khalifa that stood at 13.52 meters tall. The project required 500 tonnes of chocolate cubes and took 1050 hours of work to complete. 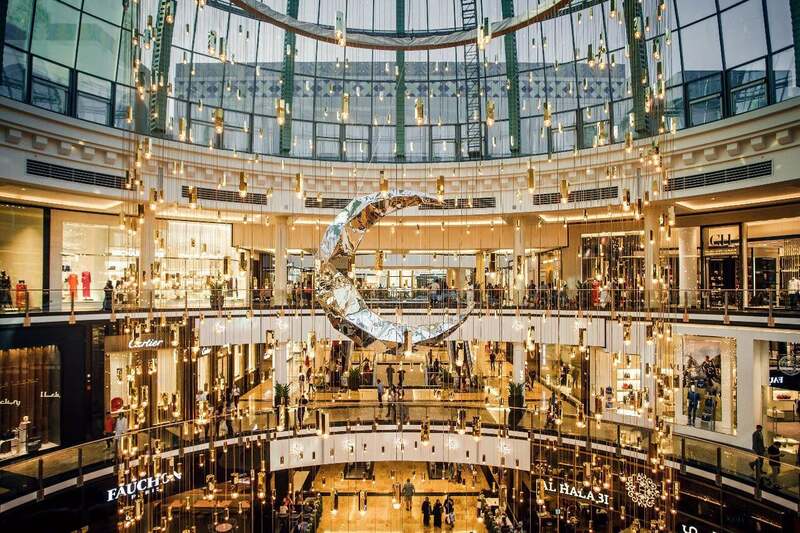 The Dubai mall is a staggering 1,124,000 square meters in the mall there is, Candylicious, the world’s biggest sweet shop. 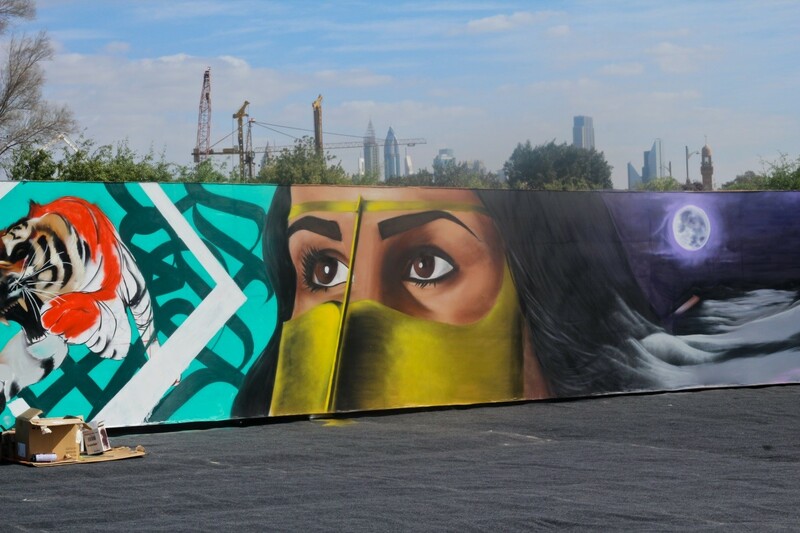 This wall of graffiti broke the Guinness World Record for the longest graffiti scroll at just under one-and-a-half miles made by 150 artists. 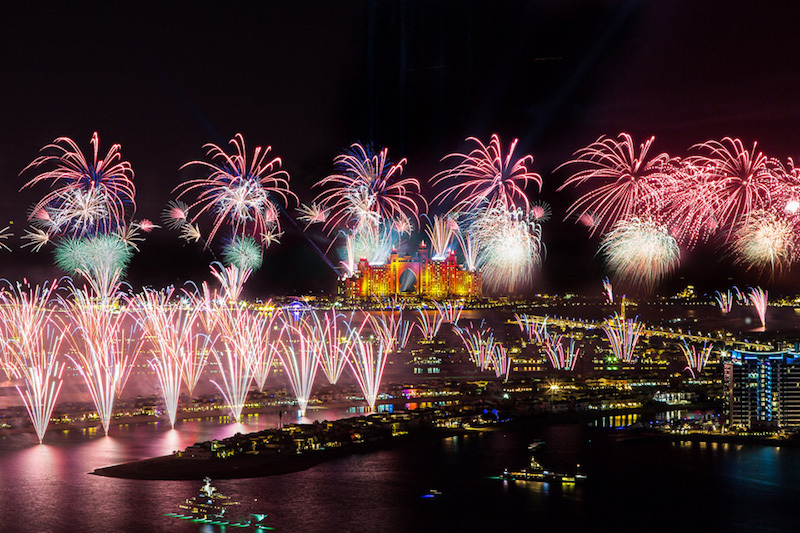 When the clock struck midnight on January 1st, 2014 and 78,000 fireworks successfully exploded across Dubai and the city lit up. 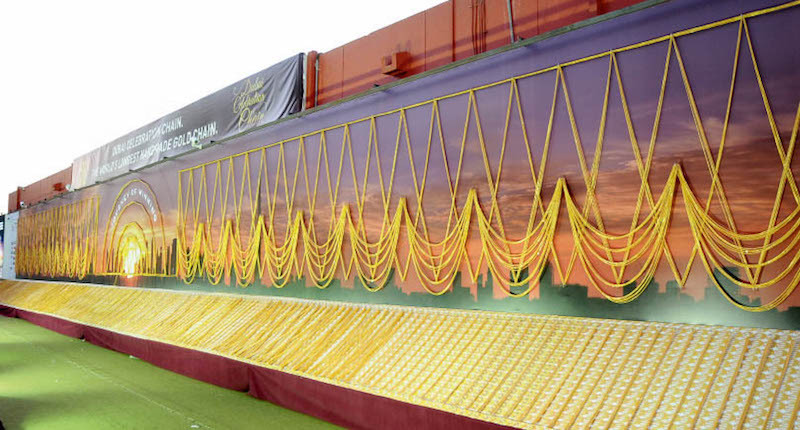 Most recently, The Global Village in Dubai managed to prepare the largest cup of hot tea.The teacup has a height of 3.66 meters and a top inner diameter of 1.42 meters. 8. World’s Largest Gold Ring. It took 10 hours a day for 45 days for 55 jewel smiths to complete the piece and the ring is worth $3 million. 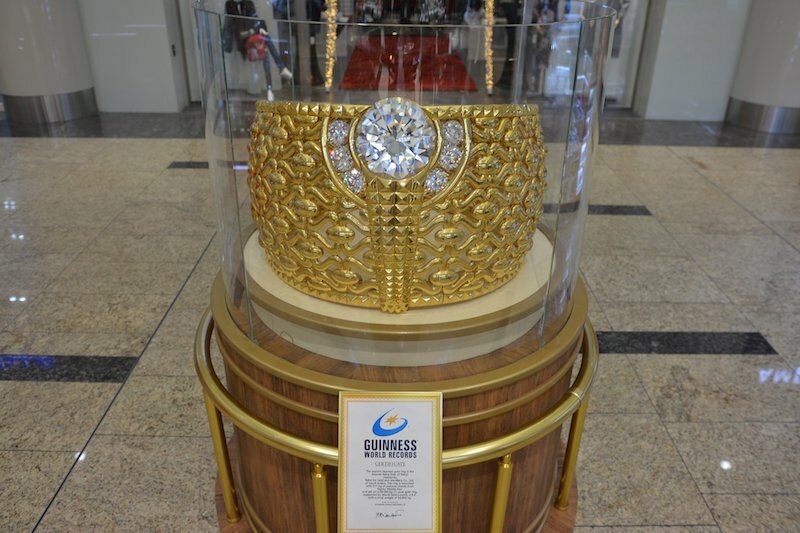 The 21-carat piece weighs approximately 64kg and that includes 5.1kg of stones, diamonds and 615 Swarovski crystals. The park includes a haunted hotel, a 12-screen multiplex cinema and 5D movie showings and covers1.5 million square feet. The chain is 5 kilometers long and weighs no less than 240 kilograms and has over 4 million links, which took 100 craftsmen over 45 days to produce. 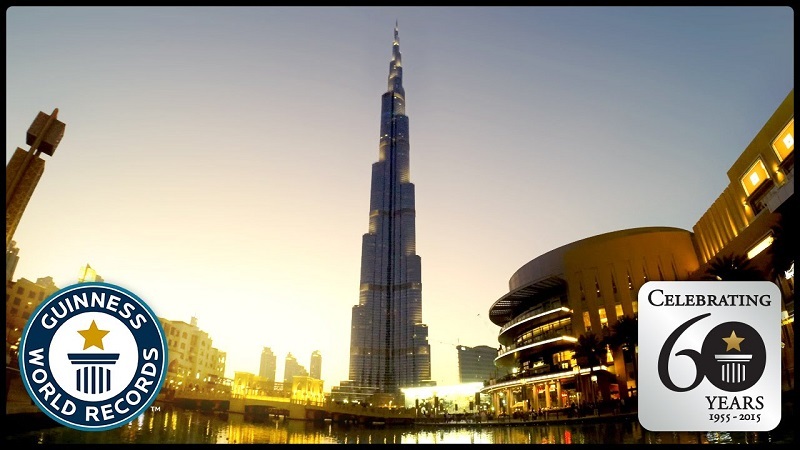 The record belongs to the JW Marriott Marquis Hotel, which stands at 355.35 m from the ground level to the top, the hotel itself is actually made up of two towers, each with 77 floors. WE SAID THIS: Dubai never fails to amaze us.